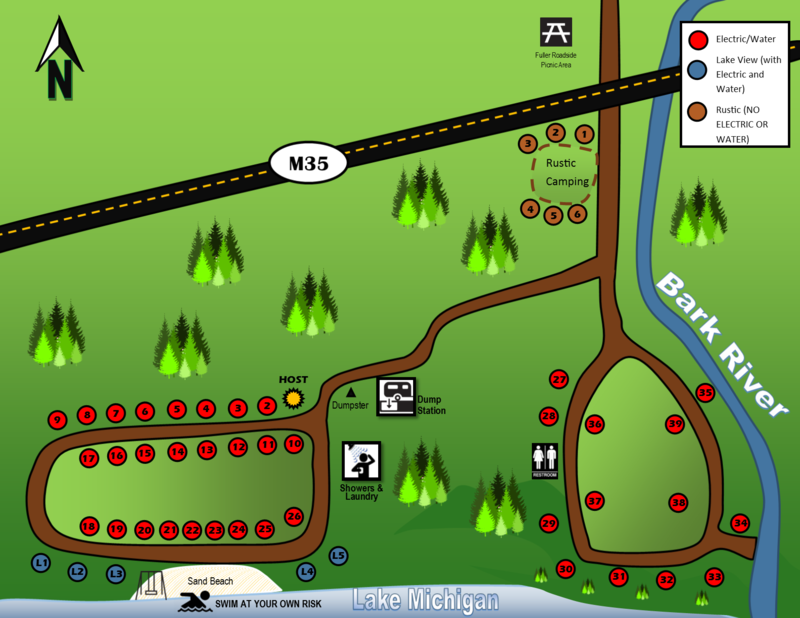 This regional 82.46 acre parcel is fronted by State Highway M35 and is 15 miles south of Escanaba. The park is on the Bark River and Lake Michigan. 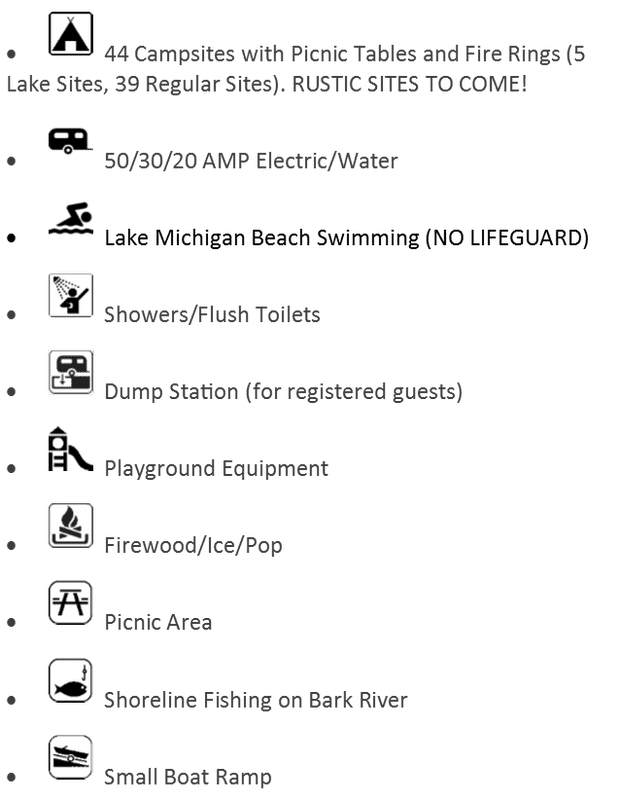 Fuller Campground has 44 water and electric sites (50 AMPS) and is a favorite of the local community as a lakeside camping area.